Does Kitchen Tops offer field measure services for countertops? Yes. We offer field measures at a small fee to our customers. If you purchase the countertops, then you receive a credit of up to 75% of your field measure fee. We do ask that your existing location of your tops is clear of all items and fully accessible to ensure a proper measure. 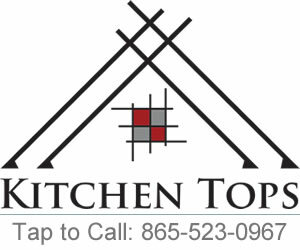 Will Kitchen Tops deliver my countertops? Yes. We offer delivery if it is needed and it is charged based on size of the items being delivered and distance from the shop. Delivery is limited to delivering to a garage or covered location and an authorized person to sign for delivery is required to be on site. The delivery site must be easily accessible and free of obstructions. Does Kitchen Tops install countertops? Yes. Each installation is quoted on a case by case basis and all installation quotes will be in writing. Plumbing disconnect and hookup is also available as part of the installation process but also must be quoted before actual installation.